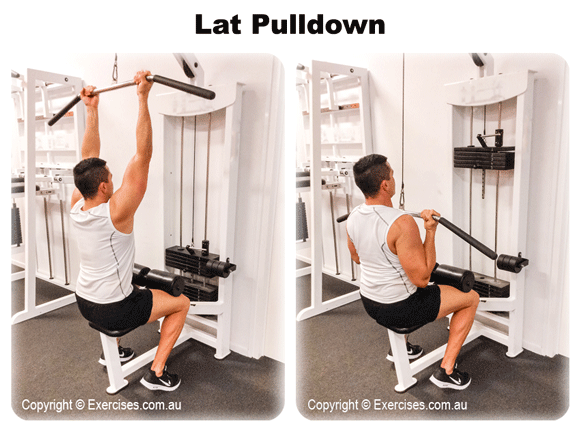 Lat pulldown is an excellent back exercise that targets the Latissmus Dorsi, one of the biggest muscles of the upper body. The lats play a very large role in creating that V-taper shape, which can create the illusion of a slimmer waistline. While seated, grab the pull-down bar with a slightly wider than shoulder width grip. 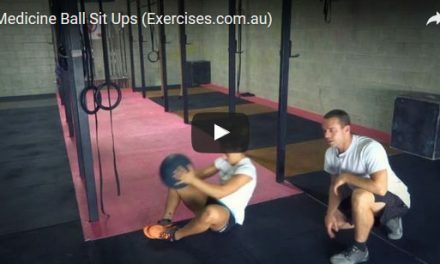 Lean back slightly and begin to pull down until the bar touches the top of the chest/sternum. Return to the starting position in a slow and controlled manner. 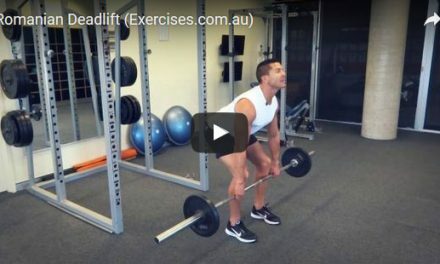 Think of retracting the shoulder blades before pulling to minimise bicep involvement. Additionally, it can help to visualize the arms as hooks to improve your mind muscle activation of the lats.